Aquaguard Geneus is a Universal water purifier which senses the quality of water and chooses the optimum purification technology RO + UV/ UF + UV to purify water. Its unique Tasteguard technology senses and adjusts to different sources of water automatically using multi-stage purification processes to give you the same tasting, pure and safe water always. Note-Please check your water for the TDS measurement, also check the pressure of water before making the purchase. Water from many sources municipal, borewells, tankers. A unique technology that senses and adjusts to different sources of water automatically using multi-stage purification processes to give you the same tasting, pure and safe water always. Senses the quality of water and chooses the optimum purification technology RO + UV/UF + UV to purify water. Now you have the power to extend the service life of purification cartridges of your Aquaguard Geneus by additional 20 working hours by just a press of a switch. Unique RO technology membrane removes excess TDS, blocks dissolved impurities and chemical contaminants while maintaining essential minerals in drinking water. It ensures that every drop of water is as pure and safe as water that has been boiled for over 20 minutes. 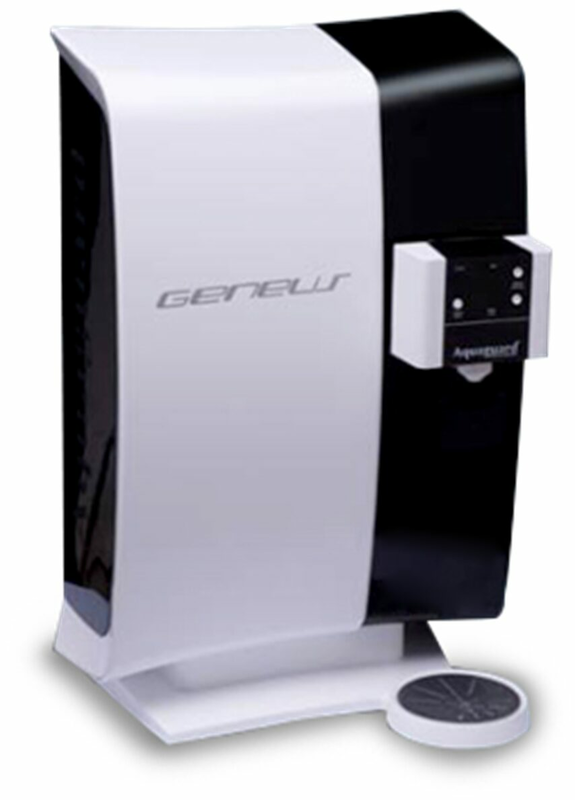 Why To Buy Aquaguard Geneus RO+UV+UF Water Purifier ?